HOLLYWOOD, CA (ANS – Feb. 11, 2016) – It’s not often that I get to interview two Dolly Parton’s on the Red Carpet at the same time, but this unusual occurrence took place on Friday, February 5, 2016, at the glittering 24th Annual Movieguide® Faith & Values Gala and Report to the Industry at the Universal Hilton Hotel, Hollywood, California. You see, the real Dolly Parton was at the event, also known as the “Christian Oscars,” to talk about her NBC made-for-TV movie, COAT OF MANY COLORS, based on the country hit she wrote about the jacket her mother stitched together for her from a basket of rags, and is set in 1955 in a farmhouse in Locust Ridge, Tennessee. The beautiful old-timey-style film was up to a top award at the gala. A true living legend, Dolly Parton, whose life is truly a rags-to-rhinestones story that began on January 19, 1946, and remains as vibrant and relevant as ever. She was born the fourth child of 12, to mother, Avie Lee and father, Robert Lee, and grew up in the Smoky Mountains of East Tennessee. I asked Dolly to share about the COAT OF MANY COLORS movie and her face lit up with her famous electric smile that has brightened the lives of millions, as she explained, “The COAT OF MANY COLORS has been a favorite song of mine, and my fans, for many years; and I thought it would make a wonderful little film just to let people know the kind of wonderful warm family that I came from and the fact that we all got by on our faith. We all believed that through God, all things are possible and I like to believe that God has led me through everything. I then turned to the young Dolly Parton, Alyvia Alyn Lind, who is already building a reputation for herself, following her first feature film debut in 2013 in DARK SKIES. Since 2011, she has played Faith Newman for over 70 episodes in the television series, THE YOUNG AND THE RESTLESS. She has also had recurring roles in the television series REVENGE as young Amanda Clarke, as well as in TRANSPARENT as Grace. In 2014, she played alongside Adam Sandler and Drew Barrymore in the feature movie BLENDED. 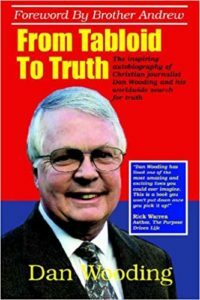 I concluded the interview, which will soon be aired (along with many others,) as part of one of my “Inside Hollywood with Dan Wooding” shows, now being aired on the Holy Spirit Broadcasting Network (http://hsbn.tv/), by asking Dolly what she hoped people would take away from viewing the movie. Following this fascinating chat, surrounded by print, radio and TV journalists, the two Dolly’s were off to the actual award ceremony, and I am glad to report that both of them did really well. First of all, Dolly and her COAT OF MANY COLORS team, walked away with the $100,000 Epiphany Prize for Most Inspiring Television Program of 2015, which was presented to them my actress, Lily Tomlin. And, if that wasn’t enough, the young Dolly — Alyvia Alyn Lind – won The Grace Award for Most Inspiring TV Performance by an Actress, so it was an evening to remember for these two most talented people, and one I will remember for a long time. Note: I would like to thank Robin Frost for transcribing the interviews. Photo captions: 1) Dolly poses for pictures wearing an updated COAT OF MANY COLORS. 2) Meet Dolly’s TV family. 3) Dan Wooding interviewing the two Dolly Parton’s on the Red Carpet. 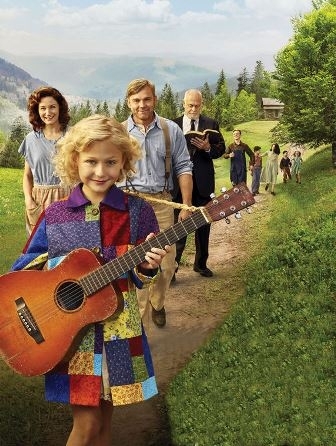 4) In a scene from the movie, the young Dolly (Alyvia Alyn Lind) wears the COAT OF MANY COLORS. 5) Dan Wooding pictured with some of his 45 books (OC Register). You may republish this or any of our ANS stories with attribution to the ASSIST News Service (www.assistnews.net). The light of the world has come!